While most people would pay any price to get a Kentucky Derby winner, the truth is the less you pay the better chance you have of buying a Derby winner at auction. There have only been three Kentucky Derby winners to sell at auction for $500,000 or more: Fusaichi Pegasus ($4,000,000), Winning Colors ($575,000), and Alysheba ($500,000). Despite the inflated auction prices of horses in the last 30+ years, most of the Derby winners sold since 1980 were bought for less than $50,000! Below is a list of the Kentucky Derby winners since 1960 who sold at auction with their prices. In the cases where a horse went to auction more than once, the highest price realized is used. 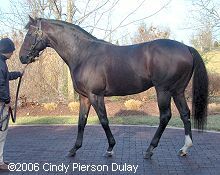 Also included is a list of the highest priced auction purchases who ran in the Kentucky Derby and where they finished. As you can see, a high price at auction doesn't guarantee a good finish much less a win in the Kentucky Derby, but TWO Triple Crown winners were bought for low prices at auction. $1 million or more horses have fared particularly badly, with only one win (Fusaich Pegasus) and one second (Lion Heart) from 17 horses. So let's apply this to 2018's top Kentucky Derby contenders. Here are the top 20 Derby contenders by points earned as of April 15 with their auction prices. The bargain horses who sold for less than $100,000 this year are: My Boy Jack ($20,000), Noble Indy ($45,000), and Promises Fulfilled ($37,000). The ones likely eliminated, or at least having a jinx against them, for selling over $1 million are: Bolt d'Oro ($1,000,000), Good Magic ($1,000,000), Instilled Regard ($1,050,000), and Mendelssohn ($3,000,000). Louisiana Derby winner Noble Indy could be the Cinderella horse for this year, selling for only $45,000 as a yearling at Keeneland. Horses who have never been through an auction are listed as homebreds or homebred/private. 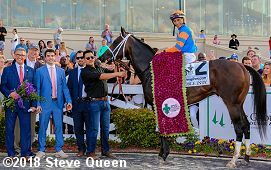 Jockey Club’s Annual Top 2-Year-Old Rankings for 2017 - Ranks the top 2-year-olds for 2017 and determines the dual qualifiers for the 2018 Kentucky Derby.